All of our charity shops are hosting Orange Friday on 23rd November to celebrate all that St Catherine’s is! They will be offering a MASSIVE 50% off everything* for one day only and we have loads of great, quality items for you to choose from. 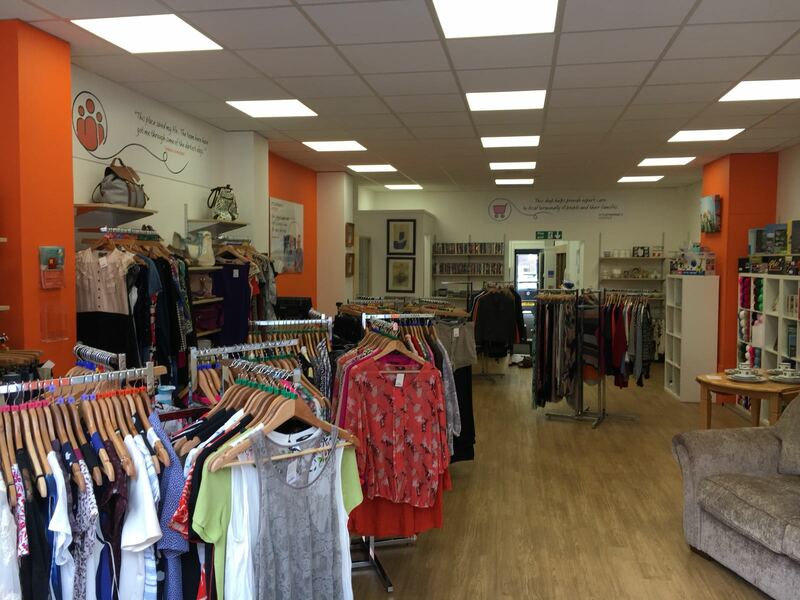 You can find your nearest St Catherine’s Charity Shop here. You can also donate any unwanted items to our charity shops. Why not donate one (or more) items for every one you buy this Black Friday to show your support for your local hospice? You can discover what items you can and can’t donate to our shops across Sussex and Surrey here. If you are planning on hitting the shops this Black Friday to pick up some of the fantastic deals out there, why not donate a percentage of the money you have saved to St Catherine’s? Your support will help us care for more local people in your community when they need us most. You can donate online, here. If you are a local business offering Black Friday savings to your customers, we would love you to support St Catherine’s at the same time by donating a percentage of your profits for the day. Not only will you be making a real difference, but it will give your customers a feel-good-factor too, knowing that they are supporting a local charity. Did you know that the Monday after Black Friday is known as Cyber Monday? If you prefer to shop from the comfort of your own home, why not log onto Amazon Smile to do so? If you log in to Amazon via this link: www.smile.amazon.co.uk and select St Catherine’s Hospice Limited, 0.5% of your net purchase price will be donated to us. We’d love to see what you’ve been up to this Orange Friday, so be sure to tag us in your pictures on Instagram @stcatherinescrawley!